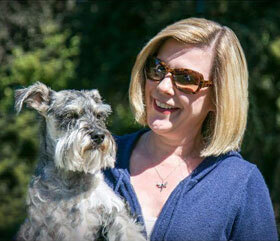 - These are just a few of the Schnauzers who have been adopted through MSR. Operating from Portland, Oregon. Serving the Northwest. Are you interested in adopting a mini or a standard? Take a look at our adoption pages. Looking for a puppy? The average age of our rescues is 3 years and older. 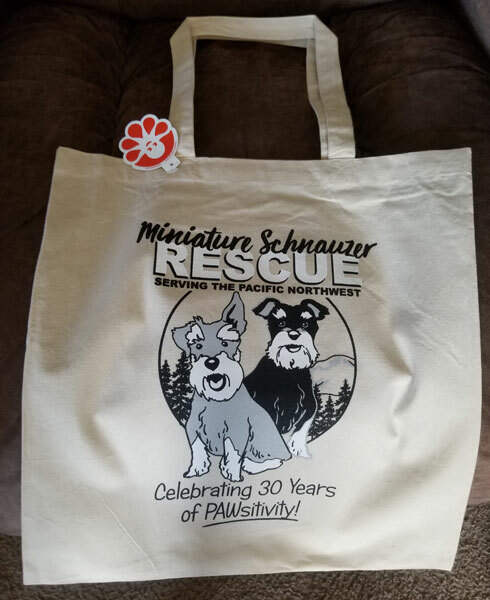 For puppies, please contact Portland Miniature Schnauzer Club for a reputable breeder. Looking for a giant schnauzer? Contact Mary at Giant Schnauzer NW. 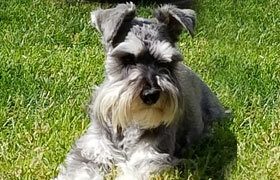 Do you need to rehome your Schnauzer? 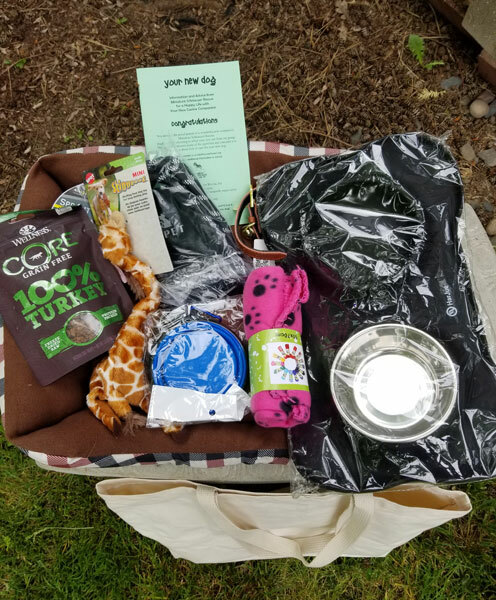 THANK YOU Airbnb of Portland for these amazing Rescue bags. For all your summer vacation dog friendly needs, check out Airbnb. See the bag contents. 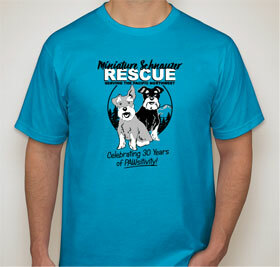 Order your MSR tshirt or hoodie today! We also have cute canvas Tote Bags. Contact us to buy. 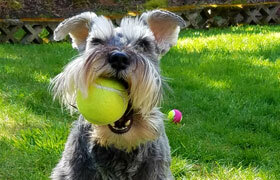 The Schnauzer Walk at Clackamette Park, Oregon City was a great success! We look forward to seeing you next year. Willis, the KATU Weather Dog attended the 2017 Schnauzer Walk with Mary Loos. See PHOTO GALLERY. We can always use foster homes. 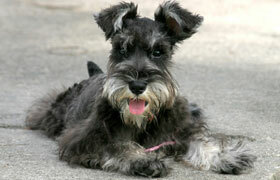 See what is involved and if you can open your home to fosterng a schnauzer. Learn more.